The epic story of how science went “big” and the forgotten genius who started it all—“entertaining, thoroughly researched…partly a biography, partly an account of the influence of Ernest Lawrence’s great idea, partly a short history of nuclear physics and the Bomb” (The Wall Street Journal). Since the 1930s, the scale of scientific endeavor has grown exponentially. The first particle accelerator could be held in its creator’s lap, while its successor grew to seventeen miles in circumference and cost ten billion dollars. We have invented the atomic bomb, put man on the moon, and probed the inner workings of nature at the scale of subatomic particles—all the result of Big Science, the model of industrial-scale research paid for by governments, departments of defense, and corporations that has driven the great scientific projects of our time. 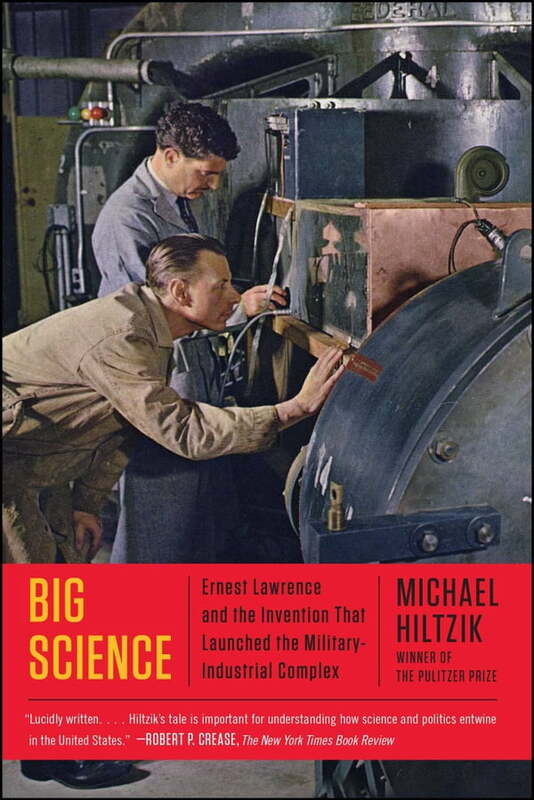 The birth of Big Science can be traced nearly nine decades ago in Berkeley, California, when a young scientist with a talent for physics declared, “I’m going to be famous!” His name was Ernest Orlando Lawrence. His invention, the cyclotron, would revolutionize nuclear physics, but that was only the beginning of its impact, which would be felt in academia, industry, and international politics. It was the beginning of Big Science. “An exciting book….A bright narrative that captures the wonder of nuclear physics without flying off into a physics Neverland….Big Science is an excellent summary of how physics became nuclear and changed the world” (The Plain Dealer, Cleveland). This is the “absorbing and expansive” (Los Angeles Times) story that is “important for understanding how science and politics entwine in the United States…with striking details and revealing quotations” (The New York Times Book Review).